Buyerology is defined as the decision journey that the buyer embarks on. If marketing was to only have one goal, it would be to reach buyers at those exact moments that influence their decisions. For years, these moments, or touch-points, have been represented through the metaphor of a ‘funnel’. The classic funnel shows the narrowing of decisions until finally the purchase is made. A buyer would enter the top of the funnel and transition through the buying phases: awareness, consideration, assessment, and preference, soon after they would be ready to make a purchase decision. The funnel has had a good long run as the only metaphor for demand management. However, if you take a deep look at the new buyerology, or decision journey, it would look more like an illustration from a Dr. Seuss book rather than a funnel. Back in 2007, Forrester Research analyst, Brian Haven, published a report titled Marketing’s New Key Metric: Engagement. An interesting aspect of the research was presenting the idea that the marketing funnel was dead. (See image: Source: Forester Research, Inc.) This idea met much backlash at the time. Fast forward 5 years and one of the hottest topics among marketers today is rethinking the funnel metaphor. Today's buyerology is complex. Buyers are no longer walking on their buyer journey alone as they have become part of a bigger network, a buyer ecosystem. This ecosystem extends to external collaborators such as partners, social communities, and even your own valued customers. All these collaborators have a direct influence on the decisions the buyer is making. Because of this influence, these additional players must also be considered as active participants in the buying process. As a B2B organization, it is easy to see that today the buyer is in greater control in their decision journey than the organization itself. Not only do they need to be nurtured for months, if not years, before they turn into a sales opportunity, they could be as far as 90% through their buying cycle before they even reach out to the organization. The question becomes—how can organizations effectively guide the buyer and their collaborators through this complex buying model? The simple answer is marketing must play a greater more dynamic role than ever before in the buying journey. B2B marketers are going to have to get ingrained in the buyer ecosystem and understand what buyer networks exist today and who will join in the future. They are going to have to deliver ‘intelligent’ content that stands out and not just push messaging content. They are going to have to think beyond the marketing campaign and start thinking about engagement at every stage of the journey. We know that buyers will only engage with organizations who meet their changing needs. Therefore personal, relevant, and timely communications are no longer an option—they are table stakes. 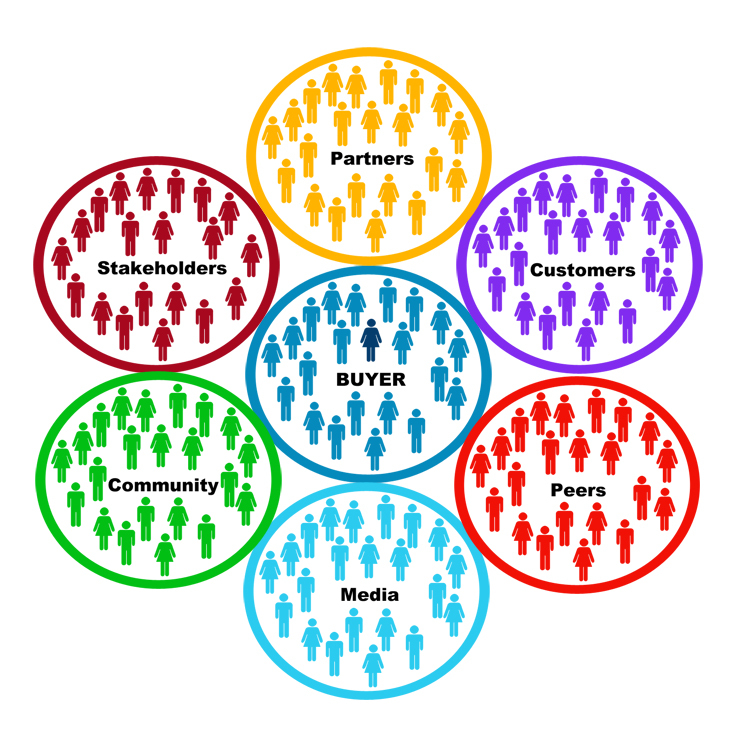 What is marketing's role in the buying model? Should marketing be involved at every stage? Share your thoughts below.